Eugenics is not a dead and buried spurious historical phenomenon — its roots and influential tentacles are deep and enduring. And the human casualties resulting from this supremacist ideology number in the tens of millions. 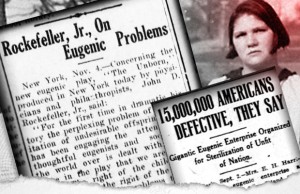 Eugenics began as an elitist racial supremacist movement that enlisted highly respected academic scientists in an evangelic campaign to control human reproduction. It was a diabolical massive human experiment precipitated by a deluded misconception; the belief that by applying population control methods used in animal breeding would result in improving the “quality” of the human race. Eugenics appealed and galvanized the elite members of the wealthy and academic class who believed that uncontrolled population growth by poor people posed a threat to the social order. One of the first proponents of population control was the Anglican clergyman, Rev. Thomas Malthus who in 1798 published a tract called An Essay on the Principle of Population in which he stipulated that within 23 years – by the year 1890, there would be standing room only on the earth. To prevent that catastrophe, he recommended facilitating an increased mortality rate. However, Galton’s version of a freely chosen “positive eugenics” soon gave way in the United States to government mandated racially charged “negative eugenics.” Legislation was enacted to control the reproduction of segments of the population which were deemed to be the carriers of “defective” genes. David Starr Jordan, President of Stanford University, was an influential American eugenicist whose publication, Blood of a Nation: A Study in the Decay of Races by the Survival of the Unfit, which was aimed at influencing the wide public. It was published in 1902 and again in 1910 by the American Unitarian Association. Eugenicists adopted dubious racial-genetic theories borrowed from animal breeding techniques used to improve the genetic stock of animal. They used specious screening and measuring techniques — which they called “scientific” — to identify, label and control human beings with presumed inferior genetic traits, whom they deemed “unfit.” To reduce the number of “unfit” people, they promoted policies to restrict their reproduction — through forced sterilization — and restrictive immigration. America’s leading scientists espoused eugenics, and all the premier universities – offered eugenics courses, including Yale, Harvard, Chicago, Purdue, and Northwestern. 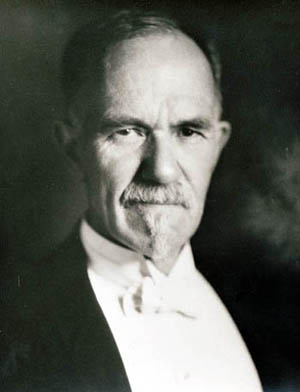 The father of American eugenics was Charles Davenport, a Harvard educated zoologist, who taught biology at both Harvard and the University of Chicago, headed the ERO and spearheaded a worldwide campaign to create a master Nordic race and sterilize or segregate all other “inferior” humans to control their population size. 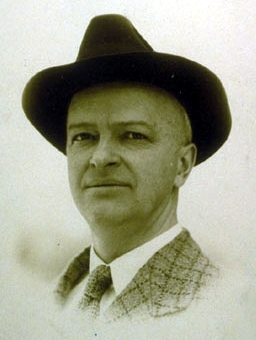 Davenport was interested only in cataloging defective human traits, with the ultimate goal of removing the carriers from the national gene pool. In 1910, again with funding from Carnegie and Harriman, Davenport opened the Eugenics Record Office (ERO) for the purpose of compiling family records on the “unfit” and to take a census of America’s “defective” population at hospitals, prisons, refuge homes, and insane asylums. Davenport hired Harry Hamilton Laughlin, a lawyer, to head the ERO field office operation and collation of the records at the ERO. The ERO census takers determined that 10 million Americans met the criteria for “defectives” classified within 10 categories. The first category was the “feeble minded” — a broadly defined catch-all category that included stutterers, people who spoke poor English, and those who were shy. Physicians working for the government enthusiastically surgically sterilized tens of thousands of such as California’s Dr. Pilicher, superintendent of a home for the feeble minded, had sterilized 58 children in his care. Secular eugenicists discarded the Biblical belief that all humans descended from one source; that despite various ethnic diversities, humans share a common heritage. Instead, eugenicists embraced scientific racism. “In the early 20th century, most scientists believed in the existence of distinct biological races. Scientific disciplines such as physical anthropology, cephalometry, phrenology, physiognomy, and anthropometry sought to measure physiological differences among human populations. The thinking was that physical differences translated into mental differences. Cephalometry, for example, dealt with the variations in size, shape, and proportion of skulls among human races. Scientists theorized that larger skulls held larger brains, which resulted in increased intelligence. Races possessing a higher average “cephalic index,” that is, the Nordics, were supposedly smarter. Eugenicists’ materialistic view of the world inevitably led to social engineering. If heredity and/or environment determine all human behavior, then it stands to reason that man can be modified –engineered, like any other material object. Eugenicists were confident in the ability of their scientific method to evaluate, classify, and manipulate; ultimately fix the negative characteristics and qualities of human beings – just as is done in the breeding of animals. However, to do so, it was essential to dispense with free will. Only by eliminating free will can human beings be manipulated and improved – for society’s best interests. It is especially significant that the U.S. was the first country to impose eugenic sterilization under state statutes; Indiana was the first (1907) of 30 states that enacted forced sterilization laws; which the U.S. Supreme Court under Chief Justice Oliver Wendell Holmes upheld (in 1926). Harry Laughlin’s Model Eugenic Sterilization Law (1922) served as the model for both American sterilization laws, and was the blueprint that Hitler used to frame Germany’s Sterilization Law (1933); its ethnic exclusionary Nuremberg Laws (1935); and its medical murder of handicapped children and of adults in psychiatric institutions under T-4 (1939). In recognition of his contribution, in 1936, the Dean of the Kaiser Wilhelm Institute awarded Laughlin an honorary Medical Doctor degree. Eugenics institutes in the U.S. and in Germany were financed by America’s corporate elite – the Rockefeller Foundation and the Carnegie Foundation. “Throughout the first six decades of the twentieth century, hundreds of thousands of Americans and untold numbers of others were not permitted to continue their families by reproducing. Selected because of their ancestry, national origin, race or religion, they were forcibly sterilized, wrongly committed to mental institutions where they died in great numbers, prohibited from marrying, and sometimes even unmarried by state bureaucrats. In America, this battle to wipe out whole ethnic groups was fought not by armies with guns nor by hate sects at the margins. Rather, this pernicious white-gloved war was prosecuted by esteemed professors, elite universities, wealthy industrialists and government officials colluding in a racist, pseudo-scientific movement called eugenics. The purpose: create a superior Nordic race. [pullquote]”American eugenicists saw mankind as a biological cesspool.”[/pullquote] The goal was to sterilize fourteen million people in the United States and millions more worldwide—the “lower tenth”—and then continuously eradicate the remaining lowest tenth until only a pure Nordic super race remained. Ultimately, some 60,000 Americans were coercively sterilized and the total is probably much higher. No one knows how many marriages were thwarted by state felony statutes. Although much of the persecution was simply racism, ethnic hatred and academic elitism, eugenics wore the mantle of respectable science to mask its true character. Black writes that an entrenched eugenic practice by psychiatrists at state mental institutions was denying patients needed medical treatment, following a eugenic rationale which they justified by claiming that nature had intended for them to die. The journal, Annals of Eugenics (1925) became Annals of Human Genetics in 1954; Eugenics Quarterly (1926) changed its name to Social Biology in 1969, then changed again to Biodemography and Social Biology in 2008; the Bulletin of the Eugenics Society (1969-1983) changed to Biology and Society; The Journal of Eugenics Society (1984-1990); The Eugenics Review (1909-1968) changed to the Journal of Biosocial Science (1969 -). The Galton Laboratory of National Eugenics — which had been named for Francis Galton who had been Chair of Eugenics at the University College of London, and coined the term eugenics — was renamed the Department of Human Genetics with Galton as Chair of Genetics in 1963. “Historians of race and American medicine have documented over two centuries of race-based scientific exploitation. There is a long history of the use and abuse of racialized bodies in the name of advancing medical knowledge…Scientists’ expectation of uniformity within racial groups and differences across racial groups was a belief repeated across at least two centuries of American research. Nevertheless, modern day eugenicists occupy positions of authority at academic institutions; medical professional associations; the pharmaceutical and biotechnology industry; bioethics departments; medical journals; and public health agencies. 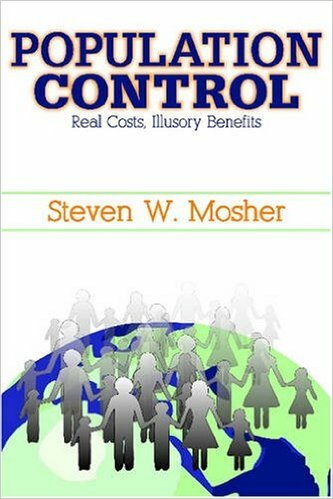 Posted by Vera Sharav | Thursday, May 7, 2015 |	Categorized Before Nuremberg | Tagged eugenics, Steven Mosher, scientific racism, Origins of Population Control, War Against the Weak Bookmark the permalink.